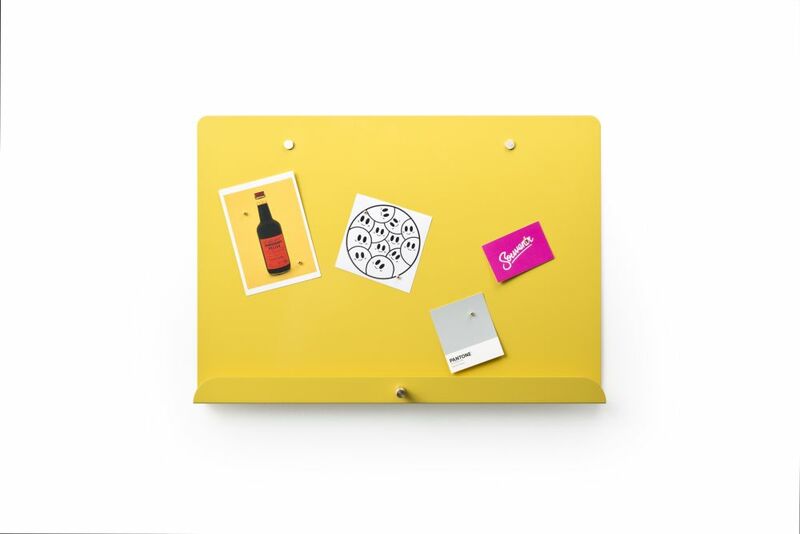 A sheet steel magnetic noticeboard designed to help keep a little more order in today's busy society. Made by hand in Sheffied (the Steel City), each board is cut and folded to the required dimensions with the front lip and brass hanger providing the ideal space for your keys, wallet or any other important items. The boards are produced in small batches and come with three golden spherical magnets to get you started and to help store your notes, keepsakes and important documents safe in one place.